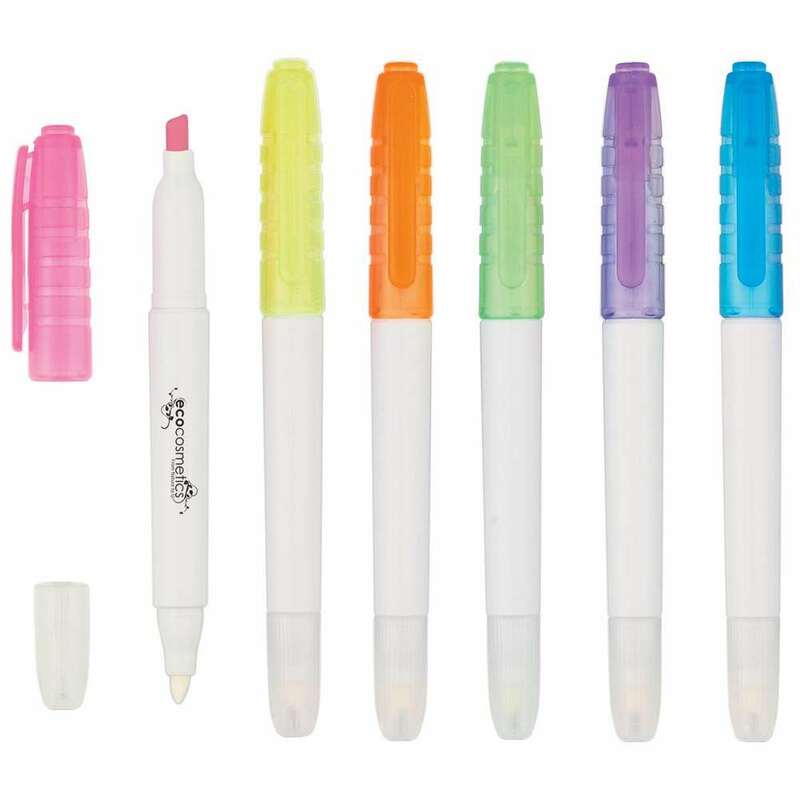 Remove highlighter spills and fix mistakes using the Erasable Highlighter. The two-in-one product has a nontoxic chisel tip highlighter on one end and a highlighter eraser at the other end. Remove highlighter spills and fix mistakes using the Erasable Highlighter. The two-in-one product has a nontoxic chisel tip highlighter on one end and a highlighter eraser at the other end. It is available in blue, pink, orange, purple, green, and yellow colors. 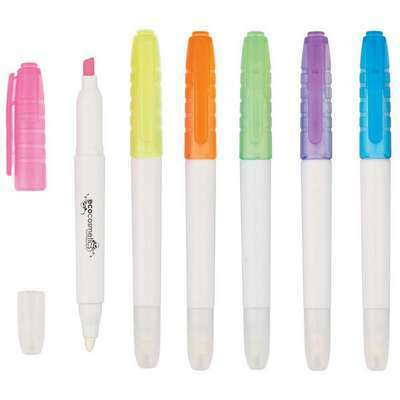 Imprint your company’s logo on the highlighter and eraser combo to make it a walking billboard for your brand. Give away this cost-effective promotional item at schools, colleges, offices, seminars, and community events to lock in your brand’s immense success.